Cavity Free Kids is a free train-the-trainer oral health curriculum that provides education about dental cavities and how they can be prevented. This curriculum was developed for child care directors and staff who work closely with parents and children. Those who participate will acquire knowledge, skills, and resources to educate families and children. Hands-on training includes exercises that are fun and easy for parents and children to understand. This training is free. Child care staff will receive two contact hours for attending. For more information contact the Office of Oral Health at (601) 576-7500. Upcoming training events are regularly scheduled around Mississippi. Please register in advance for a training event near you. Cavity-Free in Mississippi trains Medicaid-accepting medical providers to do oral evaluations and applications of fluoride varnish for children up to 3 years old who have no access to dental providers..
Medical providers will receive training on how to perform an oral health evaluation, benefits and application of fluoride varnish and caregiver education on good oral hygiene practices. Medical providers will also receive training on billing/coding for services rendered and supplies and materials needed in order to screen and apply fluoride varnish. For more information, contact your MSDH Regional Oral Health Consultant, or the MSDH Office of Oral Health. 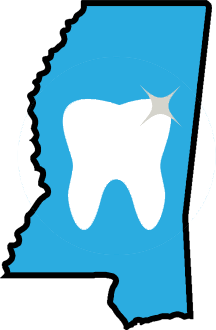 The Regional Oral Health Consultants (ROHCs) and staff of the Mississippi State Department of Health Office of Oral Health are licensed trainers in cultural competency in the state of Mississippi. Trainers have undergone extensive training that has equipped them to understand the concept of culture and how it is reflected in beliefs, values, and behaviors of various groups. They are all well-versed in educational methods and demonstrate strong teaching skills valuable in a wide-range of training environments and levels.